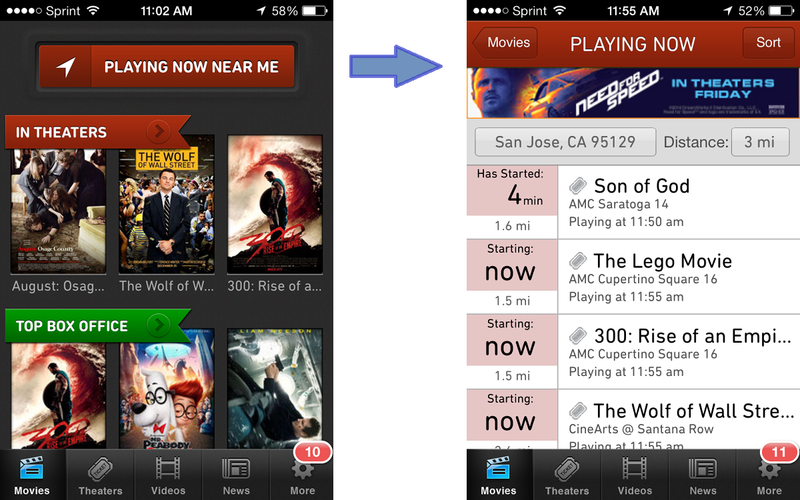 There are a lot of “movie times” apps out there, but I’m sticking with Moviefone for my favorite feature: the Playing Now Near Me button. It really captures the idea around mobile context — rather than messing around with dates/times and zip codes, just show me what my closest options are. This would also be great for travelers who aren’t familiar with the area. This could also be useful if you’re near the end of your movie, and want to sneak into another in the same theater!